This video is part of the appearance, “Juniper Roundtable at Interop Las Vegas 2013“. 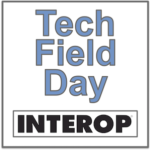 It was recorded as part of Tech Field Day Extra at Interop Las Vegas 2013 at 14:30-15:30 on May 8, 2013. Bob Muglia leads a roundtable discussion on Juniper’s SDN strategy and real-world implications. This discussion features Jason Edelman, Colin McNamara, Jennifer Huber, Tony Mattke, Samuel Clements, Frank Owen, Jennifer Lin, Bob Muglia, Aruna Ravichandran, Siva Mandalam, Calvin Chang, Michael Leonard, Robert Novak, “Mrs. Y”, and Ivan Pepelnjak. Recorded at Interop Las Vegas on April 8, 2013.